his record for the highest UFC pay-per-view buy rate at UFC, tied with Conor McGregor. Nathan Donald "Nate" Diaz professionally known as Nate Diaz is an American professional mixed martial artist. Currently, Diaz signed with the Ultimate Fighting Championship. He won The Ultimate Fighter 5. At present, Diaz stands at rank No. 10 in the official UFC lightweight rankings. Diaz is also the youngest brother of former Strikeforce Welterweight Champion and WEC Welterweight Champion, Nick Diaz. Diaz has defeated Conor McGregor, Donald Cerrone, Gray Maynard, and Takanori Gomi. Diaz has also tied with Joe Lauzon for the most UFC bonus awards, 15 in total. Diaz also holds the record for the highest UFC pay-per-view buy rate for their contest at UFC 202 along with Conor McGregor. His record for the highest UFC pay-per-view buys rate at UFC, tied with Conor McGregor. Diaz has stayed layoff since July 2016. Later, it was announced on August 3, 2018, that Diaz is expected to return on November 3, 2018. Diaz will face Dustin Poirier in a Lightweight bout, expected to serve as the co-headliner of UFC 230. 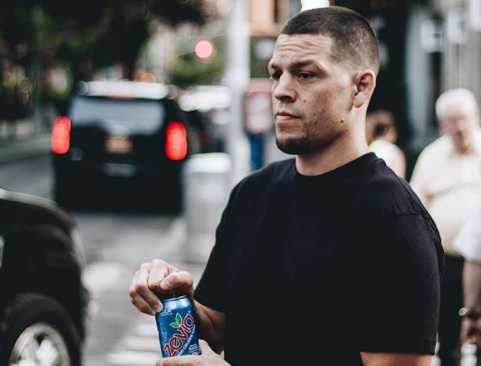 Nate Diaz was born on April 16, 1985, in Stockton, California, United States. Diaz belongs to English and Mexican descent. He attended Tokay High School. Diaz began training in martial arts at the age of 11, with his brother Nick. Initially, Diaz competed for World Extreme Cagefighting(WEC) before signing for Ultimate Fighting Championship (UFC). Diaz fought against then-champion Hermes Franca for the WEC Lightweight Championship at WEC 24. Diaz lost by submission in the second round. Later, WEC was acquired by Zuffa, LLC, then-parent company of the UFC. Diaz joined Jen's Pulver's team to fight in The Ultimate Fighter 5. Diaz defeated Rob Emerson by submission in the preliminary round. Diaz then defeated fellow Team Pulver teammate Corey Hill in the quarterfinals. He won by triangle choke submission in the first round. Diaz faced Gray Maynard, member of Team Penn in the semifinals. Diaz defeated Maynard by submission and earned a place in final against Manvel Gamburyan. Diaz lost the first round against Gamburyan but won the title after defeating Gamburyan by submission. Gamburyan tapped out in the second round due to the dislocation on his right shoulder attempting a takedown. Diaz became the winner of The Ultimate Fighter 5. Diaz defeated Alvin Robinson, Junior Assuncao, Kurt Pellegrino and veteran Josh Neer in 2008. Diaz suffered his first loss in the UFC against the former Strikeforce Lightweight Champion Clay Guida at UFC 94: St. Pierre vs. Penn 2 in 2009. Diaz took down the fight to the third round but was defeated at the end via split decision. Diaz also lost to fellow Ultimate Fighter winner and former King of the Cage Welterweight Champion Joe Stevenson at The Ultimate Fighter 9 Finale. Diaz lost by unanimous decision in the third round. Following two consecutive losses, Diaz was billed to Melvin Guillard at UFC Fight Night 19. Seconds into the fight, Diaz got knocked down by a right hook. Diaz recovered quickly and displayed a glorious fight rest of the fight. Guillard lost to Diaz via submission. Diaz lost three of his four fights, last one to Gray Maynard on January 11, 2010, decided to move up in weight to 170 lb to fight for Welterweight. Diaz made his first Welterweight debut on March 27, 2010, against Miletich Fighting Systems product and striking specialist Rory Markham at UFC 111. The fight was changed to a Catchweight fight when Diaz weighed in at the Welterweight limit of 171, and Markham weighed in at 177. Diaz brought Markham down by TKO in the first round. Diaz fought against former professional boxer Marcus Davis at Welterweight on August 28, 2010, at UFC 118. Diaz choked Davis unconscious with a guillotine choke and won in the final round. The bout was honored Fight of the Night. Diaz decided to move back down to the lightweight division after suffering consecutive losses against South Korean fighter Dong Hyun Kim, on January 1, 2011, at UFC 125, and Rory MacDonald, on April 30, 2011, at UFC 129. Diaz then defeated former PRIDE Lightweight Champion Takanori Gomi at UFC 135 on September 24, 2011. Diaz earned Submission of the Night Honors for his performance. Diaz received his Brazilian jiu-jitsu black belt from Cesar Gracie after several years of training in 2012. Diaz earned his fifth Submission of the Night bonus award, while Jim Miller was stopped first time in his career, when Diaz defeated him by submission with a guillotine choke on May 5, 2012. Diaz signed an eight-fight contract with UFC. Diaz was suspended for 90 days and fined $20,000 for violating the UFC's code of conduct. Diaz used a homophobic slur on his Twitter page which grabbed UFC's attention. Diaz along with TJ Grant was removed from the UFC's lightweight rankings after being inactive on May 5, 2014. Diaz returned in a fight against Rafael Dos Anjos on December 13, 2014, at UFC on Fox 13, but lost via unanimous decision. Diaz faced Conor McGregor on March 2016, at UFC 196, a replacement for injured Rafael dos Anjos. With the only preparation of 11 days before the fight, the fight took place at WelterWeight (170 lbs) due to lack of time in cut weight. Diaz defeated McGregor via submission in the second round and achieved his ninth submission victory in the UFC. He tied along Royce Gracie for the second-most all-time UFC victory. Diaz earned the Performance of the Night bonus as well as Fight of the Night honors. Diaz later lost the rematch against McGregor via majority decision in April 2016. Diaz is expected to return to UFC against Dustin Poirier in a Lightweight bout, after 2 years of long layoff. UFC announced his return on August 3, 2018. Diaz turned vegan since he turned 18 years old. Nate Diaz and his brother Nick Diaz both started training wrestling at a young age. His brother Nick is also a professional MMA fighter fighting under UFC. And both the Diaz brothers are advocates for cannabis. At present, both the brothers run a Brazilian jiu-jitsu school in Lodi, California. Diaz announced on June 20, 2018, that his girlfriend had given birth to their daughter. 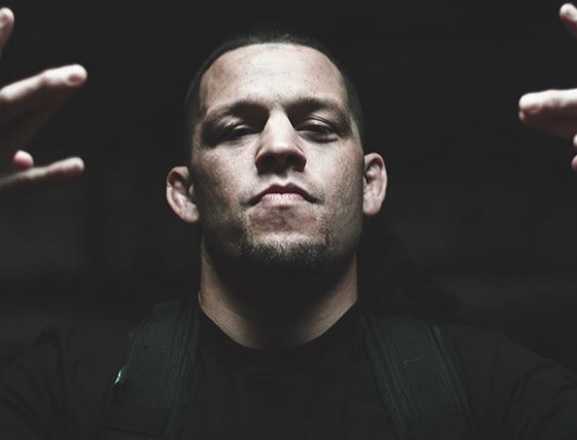 The 32-year old Nate Diaz is an American professional mixed martial artist. Currently, he is off the fight. At present, his net worth is estimated to be $2 million. As reported, Diaz has earned over $4 million through his fighting career. Nate Diaz has been awarded Fight of the Night eight times. Nate Diaz has been awarded Submission of the Night five times. Diaz became The Ultimate Fighter 5 champion defeating Manvel Gamburyan.